Do you love dogs, but have allergies? If you have a smaller home, a medium sized hypoallergenic dog might be perfect. Hypoallergenic dogs have a tendency to create less allergic reactions because of an absence of fur or a very low amount compared to most pets. There are a few breeds that fit into the criteria. The Spanish Water Dog, the Bouvier des Flandres, and the Mexican Hairless are all medium sized, hypoallergenic dogs that work great for families and singles alike. If big, friendly, shaggy dogs are your thing, the Spanish Water Dog is a good fit. They resemble the sheep dog on the Warner Brothers’ Looney Tunes cartoons. The dogs live for playing, swimming and even working. When acclimated correctly, the Spanish Water Dog is a great playmate for children. If you have a pool or live near an ocean or lake, the Spanish Water Dog lives true to its name. They love swimming. As for the work aspect, these dogs have natural herding instincts and are excellent guard dogs. These dogs do require a lot of attention, so be ready for that. They must be exposed to other dogs and/or children between the ages of two to twelve months if they are to fully accept being around them, otherwise they can become aloof or guarded around them. The Bouvier des Flandres also fits into the hypoallergenic shaggy dog category. This strong built breed is traditionally used for hard work such as cattle and sheep herding, pulling carts, and police or guard dog work. Along with their strong work abilities, they are generally gentle and protective of their adopted families. Even former United States President, Ronald Regan, chose this breed for a pet. 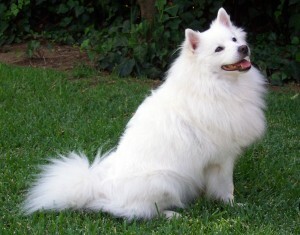 Their thicker hair makes them great dogs for outdoor work and play in colder climates. Be ready to take care of the Bouvier des Flandres if one is added to your home. Maintenance on these dogs thick hair (not fur) does require brushing weekly and visits for a trim every six to eight weeks. 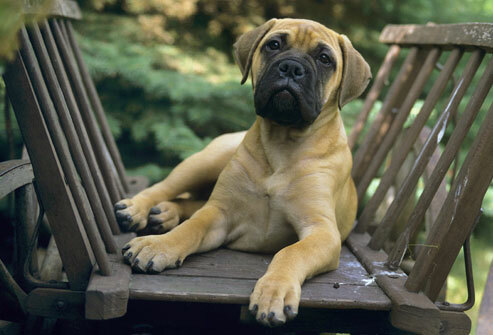 This dog can be prone to both voluvus and bloat syndromes because of their deep chests. They can also be very strong-willed and intimidating animals when they feel strongly about something, especially when going after cats. Proper discipline is a must when owning a Bouvier. The Mexican Hairless, also known as the Xoloitzcuintle or Xolo, is an extremely rare breed of dog. They range in weight anywhere from ten to fifty pounds and are almost always completely devoid of hair; they resemble dogs seen in Egyptian Hieroglyphics. Some of the Xolos do sport a very thin coat of hair or have various amounts of hair on their heads or bodies. They have been bred for over 4000 years in Mesoamerica (between central Mexico and Costa Rica). Although not recognized by the American Kennel Club, the Mexican equivalent does recognize this breed. The dogs are hard to find in Mexico and even harder to find in the US because they were considered next to extinct prior to the 1950’s.